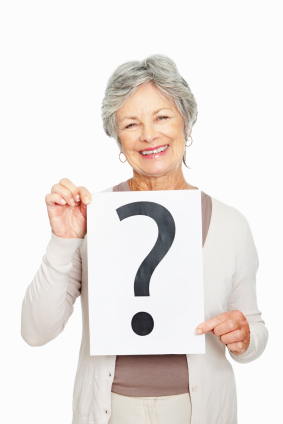 Home / FAQ / Do I need supplemental health insurance for Medicare? Supplemental health insurance is used by many individuals to complement existing health insurance coverage. It is most often used to fill in the gaps left by Medicare coverage. Many find that Medicare does not cover all of their health care needs. To cover your health care needs, use your zip code to get health insurance quotes right away! Whether or not someone needs supplement insurance to add to Medicare will depend on several factors including income and overall health. Medicare is a government-funded insurance plan for citizens over the age of 65 or those with certain disabilities such as blindness or any person, at any age, who has end-stage renal disease (ESRD) requiring dialysis or kidney transplant is also eligible for Medicare. Medicare is broken into four sections, referred to as Part A, Part B, Part C, and Part D. Some sections are a standard part of Medicare coverage and some are optional. Most people who get Medicare do not have to pay a premium for it because they have paid tax taken from their paychecks to go into a general fund. Those who have never paid this tax must pay for Part A coverage. Part B covers doctor’s bills, care that is deemed outpatient and other medical services. It covers those services that are medically necessary; it also covers some preventative services such as flu shots. Part B includes a monthly premium that varies depending on income. Part C plans are provided by private, Medicare-approved providers to add supplemental insurance along with Parts A and B. 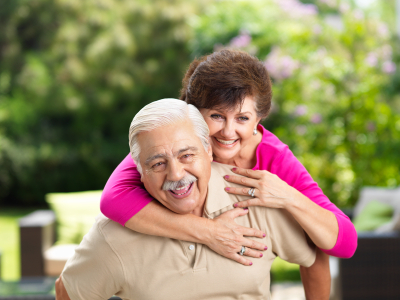 Also called Medicare Advantage, Part C can supply vision, dental, hearing, and other health options. Part D plans offer prescription drug coverage to help cover the costs of medication. Part D is also offered by private insurance companies approved by Medicare. The rules and eligibility for coverage and how that coverage is applied varies. It is best to review the literature and information concerning Medicare. For instance, those who have to pay for Part A are required to purchase Part B as well. What is covered by supplemental insurance? Part C, or Medicare Advantage plans, are provided by private insurance companies that are approved by Medicare. Part C is for those who want or need further coverage than what part A or part B supplies. Coverage for dental visits, visits to an optician, glasses and hearing services are usually covered. The private insurance plans for Part C vary, and they might also offer other health benefits such as wellness programs. The private insurance company that manages a Part C plan will also administer Parts A and B for Medicare. These supplemental Part C plans operate like managed care plans such as health management organizations (HMOs) or preferred provider organizations (PPOs). Participants must see approved providers and get referrals to see specialists. Part D will also be covered by the Part C supplemental providers. This covers prescription costs associated with monthly medications or those prescribed by a doctor. Part A is usually free for those who have worked for an hourly or salaried wage for most of their lives; these wages will have to have been reported to the government for tax purposes. Any payments received that were not reported to the government, commonly referred to as “under the table,” will not count towards Medicare eligibility. Part B generally has a standard premium that most people pay. The American Association of Retired Persons (AARP) relates that the standard premium for Part B is calculated based on the previous year’s health care costs. The AARP reports that most monthly premiums for Part B have been $96.40 since 2009. Some premiums will be higher based on income or other factors. Part C plans will vary depending upon the company and the benefits that are provided. While Medicare pays a portion of the costs, Part C premiums are often in addition to Part B premiums. Other costs that determine your Part C costs are the amount of copayments, yearly deductibles, and the plan’s limits on out-of-pocket expenses. There are certain gaps in coverage in the Part D prescription coverage. The gaps, also referred to as “donut holes,” occur once you and your coverage have spent a certain amount on health care costs. Once that amount has been reached, then only 50% of the total cost for a prescription is paid; the other 50% is an out-of-pocket expense. However, 100% of the medication’s costs go towards the yearly limit on out-of-pocket expenses. Once the out-of-pocket limit has been reached, then the policy begins to cover the costs of prescriptions again. Some Part D plans also offer gap coverage; this coverage will likely increase premiums. Get supplemental insurance now! Use your zip code now to get health insurance rates immediately!